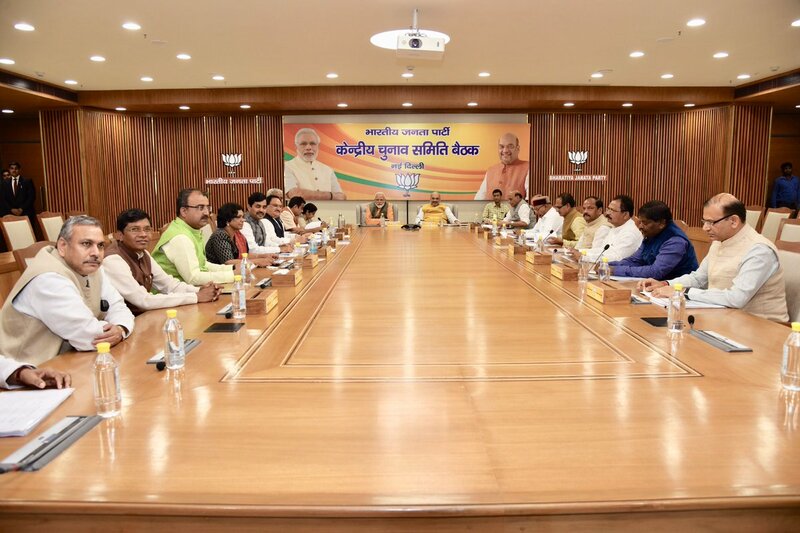 Bhubaneswar: The Bhartiya Janata Party (BJP) has declared its second candidate list for five Lok Sabha and 22 Assembly seats in Odisha. While, national spokesperson Sambit Patra has been fielded from Puri Lok Sabha constituency, state BJP president Basant Kumar Panda has been declared party’s candidate for Kalahandi Lok Sabha seat. BJP national secretary Suresh Pujari will contest from Bargarh while Nitesh Ganga Deb from Sambalpur and Jayaram Pangi from Koraput parliamentary constituency. Earlier, the party had declared candidates for 10 Lok Sabha and 99 Assembly seats. BJP has also announced its candidates for 22 Assembly Constituencies. The party has accommodated two BJD Lawmakers in its list. They are Debraj Mohanty and Purna Chandra Nayak. While Mr.Mohanty was representing Aska Assembly segment, Mr.Nayak will be contesting from Dasapalla Assembly seat, which he was representing earlier. Irasis Achrya will contest from Bhatli, while Subash Panigrahi will contest from Deogarh.Raghunath Jagdala will contest from Birmaharajpur Assembly seat, while Ashok Pujari from Sonepur. Ananta Das has been fielded from Bolangir seat, while Homsingh Majhi will contest from Nuapada. Parsuram Majhi will contest from Jharigam Assembly segment, who was earlier representing Nabarangpur Lok Sabha seat from 2009-2014. Mr.Majhi was denied ticket this time for Lok Sabha seat, while BJD turncoat Balabhdra Majhi has been given ticket for Nabarangpur Lok Sabha seat. Padman Nayak will contest from Dabugam Assembly seat, while Pradeep Nayak has been fielded from Bhawanipatna Assembly seat. Ranjan Polai will contest from Kabisuryanagar and Prasant Kar will fight from Chhatrapur Assembly segment. Nilamani Bisoi will contest from Sorada Assembly seat, while Kanhu Pati to contest from Berhampur. Goutam Samantaray will be BJP candidate from Jeypore Assembly seat, while Tripura Garda will contest from Korapurt and Padu Majhi will fight polls from Chitrakonda Assembly seat. Pinky Pradhan has been fielded from Digapahandi Assembly seat, while Prasanta Mallik will contest from Mohana. Though it was expected that Basanti Mallik, who left BJD will be accommodated, but she was not obliged. Shisir Gomang, Son of Giridhar Gomang will contest from Gunupur seat, while Basanta Ulaka has been given ticket from Rayagada Assembly segment.